On January 15, 2019, SHENZHEN CENTER POWER TECH.CO., LTD (hereinafter referred to as “Vision Group”) completed the investment in Shanghai Hyfun Energy Technology Co., Ltd (hereinafter referred to as “Shanghai Hyfun”), and both parties will continue to deepen cooperation in the hydrogen energy fuel cell industry. Shanghai Hyfun Energy Technology Co., Ltd is a company specializing in the investment, construction and operation of hydrogen refueling stations. At present, Hyfun will further develop the production and sales of hydrogen refueling station equipment. The team has many years of experience in the management and operation of the gas industry. The company is committed to providing hydrogen supply solutions for fuel cell integration manufacturers; providing infrastructure and services for supporting hydrogenation stations for fuel cell vehicles on the market; and safe operation and management of hydrogen refueling stations. Provide a one-stop solution. 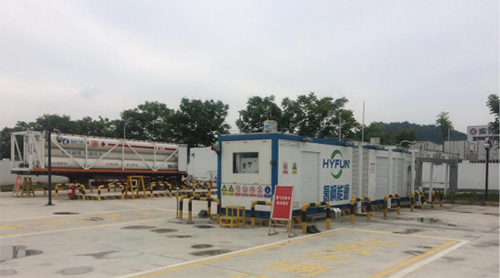 At present, Hyfun has completed the construction of 10 hydrogen refueling stations, mainly in Shanghai, Rugao, Zhangjiagang, Shiyan, Zhongshan, Foshan, Liaocheng, Wuhan and other cities. Hyfun's ultimate goal - to ensure that the combined use of hydrogen costs is better than the cost of fuel use. 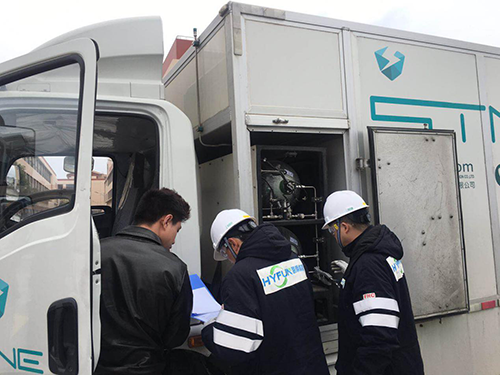 In 2018, Vision Group and Hyfun have already started business cooperation through the reactor hydrogen supply system project of Wuhan HydraV Fuel Cell Tech. Co., Ltd. In 2019, the two sides will carry out more cooperation in the field of hydrogen energy, including business cooperation, institutional resource docking, and introduction of government resources. Vision Group regards fuel cells as an important choice for strategic transformation. After that, the two parties will jointly promote the development of the hydrogen energy industry, give back to the society and change the future. Previous ● annual dinner:make concerted efforts，persist in your efforts, you will have results.